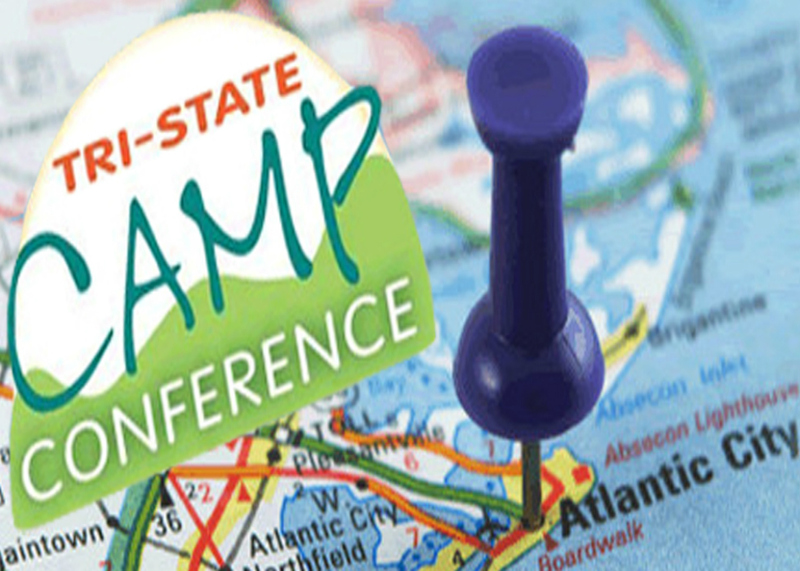 Once a year the community of camp professionals descend upon Atlantic City for the largest gathering of youth development experts in the country. The Tri State Camp Conference is also the largest volunteer driven conference in America. We like to think of this conference as ‘Camp for the Camping Professional.’ As a community we are challenged to do the same things we ask our campers to do: participate, meet new people, attend a type of session you have never attended before and take risks and try new things. While the conference marks the start of Spring for us and the final 100 day countdown until Camp, the keynote and session speakers leave us wanting camp to start now! Opening the conference was Po Bronson. who has built a career both as a successful novelist and as a prominent writer of narrative nonfiction. He has published six books,and he has written for television, magazines, and newspapers, including The New York Times and The Wall Street Journal, and for National Public Radio’s Morning Edition. Po Bronson and Ashley Merryman’s New York magazine articles on the science of parenting won the journalism award from the American Association for the Advancement of Science, a Mensa Award, and a Clarion Award, talking about praise. Their articles for Time won the award for outstanding journalism from the Council on Contemporary Families. Their recent collaboration, the book NurtureShock, has been a New York Times bestseller and was featured on NPR’s Fresh Air with Terry Gross. Currently they are writing regularly for Newsweek.com. Bronson spoke about the need for an equal reaction to teach children to explore to the action of protecting and keeping them secure. It is important to encourage exploratory behavior and take good risks while teaching them the Losing Is Good For You (NY Times Op/Ed piece). Adults need to know when to turn up the competition and when to turn it down. One of the Timber Lake Family of Camp’s favorite speakers at the conference is Dennis Snow. Snow spent twenty-years “working for the mouse” at Walt Disney World, beginning his Disney career at the 20,000 Leagues Under the Sea Attraction. He eventually moved into a management position, managing various operating areas throughout the famous theme park. Dennis Snow has a passion for, and expertise in what it takes to create world-class customer service. He has consulted with organizations around the world on the subject and has been recognized for his expertise and delivery skills. Dennis’ customer service abilities were born and developed over 20 years with The Walt Disney World Company. He began his Disney career in 1979 as a front-line attractions operator. Quickly moving into a Disney management role, Dennis managed various operating areas throughout the famous theme park, learning and applying the skills it takes to run a world-class, service-driven organization. We had a wonderful experience at the Tri State Camp Conference and are looking forward to implementing what we learned. 96 Days till Camp!